Your Thoughts on the Footprint Chronicles – Why don’t you make more of your goods in the U.S.A.? We’ve recently released “What’s Done in Our Name?,” the first in a three-part video series called Work in Progress that examines larger social and environmental issues we grapple with as a company. ”What’s Done in Our Name” directly addresses what we do to monitor the labor practices of the overseas factories that make our goods. The launch of this video comes at a time when Americans are concerned about the further decline of domestic manufacturing. It should be no surprise that a video focusing on overseas production has sparked a number of customers to ask why we simply don’t make more of our goods in America. Below, we highlight one of these e-mails as well as a response from a long-time Patagonia employee familiar with both our history and the source of our values in several key areas: product quality, environmentalism and social responsibility. We welcome your contribution to this exchange – as well as other thoughts you have about responsible business practices. It’s our hope that as the discussion unfolds it will enrich our continued examination of our corporate life – and help us do what we do better and with less harm to the environment and the social fabric. Patagonia often touts environmental responsibility and claims to have an environmentally-conscious business model yet virtually every single product that Patagonia sells through its catalog is produced overseas. This is despite the fact that the vast majority of Patagonia customers live in the United States. The transportation cost (and fossil fuels consumed) to ship your products from manufacturing plants overseas to the United States is not insignificant. 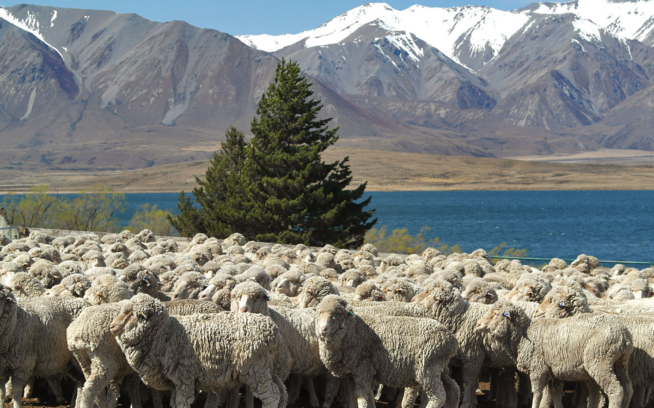 Patagonia could also help to improve the US economy by manufacturing its products domestically. China,where a good portion of Patagonia clothing is produced, has an abysmal environmental record. The conditions of the plants where your products are made may be good but the energy that is needed by theses plants is produced by dirty coal that contributes to hazardous air quality conditions that are dangerous to the people of China but also to the environment in general. I also wonder if Patagonia, a company which prides itself in using recycled material, collects the post-consumer plastics in the US,ships them overseas for processing and the[sic] production into clothing or if these plastics come from the countries where your products are manufactured. I know that I am not alone in wondering how sincere your company’s environmental stance is when producing clothing. I would guess that most of us would be willing to pay a bit more for clothing that is made in the US using cleaner energy. Patagonia urged US citizens to vote environment when electing public officials. Patagonia’s business model should also “vote environment” when making decisions regarding its production practices. Our Customer Service department forwarded me your e-mail for a response. They thought my perspective might be useful to you because I’m an editor on the Footprint Chronicles and have been associated with the company on and off since we started in the early ’70s. First, thanks for your thoughtful and passionate letter.We appreciate the time you took to write us and the spirit in which you write.Having written to companies myself, I know that firing off a letter to a corporation can feel like throwing a rock into a lake. But only a human being can write a letter- and read one. We take your comments seriously. It distresses us to hear from customers who tell us we fall short of expectations. We take it you’d like us to be a company you’d like to buy from. We’d like to be a company you’d like to buy from! But if you feel as strongly as you do about “Made in America”we simply may not be a good match for you. We cannot make any claim at all to be a “Made in America”company; it hasn’t been one of our goals. We have always sourced at least half our products outside the U.S., and that percentage has shrunk over time, as has the U.S. textile industry and the number of domestic high-quality sewing shops. We make no claims that we have done anything even quixotically to help buck this trend. Neither the owners of the company nor most (but not all) of its employees have a strong economic-nationalist feeling. A word of background: Patagonia started off quite small as an outgrowth of an even smaller climbing equipment company that at the time had its own machine shop in Ventura but also had ice axes and crampons made under its name in Japan and Europe. The climbing community in those days was small and mostly poor – and decidedly international. People traveled a lot on cheap tickets and slept on each other’s floors. So we were all inclined to consider ourselves citizens of the world as well as Americans. About half our sales today come from outside the United States,so manufacturing here, if we had both the will and the way to do so, would not necessarily result in environmental benefits from reduced transportation. We do think, as you express in your letter, that strong long-term environmental arguments can be made on behalf of localism, of manufacturing closer to the point of purchase. Two mitigating short-term factors: the enormity of change that would be required and the surprisingly low environmental cost of transportation, which accounts for less than 2% of the carbon footprint of our products. Some of the steps we take to reduce environmental harm actually contribute to more geographic fragmentation. There are fewer places for us to go for organic cotton and recycled polyester than for their conventional counterparts; that sometimes requires more goods moved around at more stages.For now the benefits of using more environmentally conscious fibers like organic cotton and recycled polyester outweigh the downside of extra shipping. Having said that we’re not a Made in America company, we want you to know that we take the environmental crisis seriously,as well as our responsibility to reduce the harm done in our ordinary course of business. This sense of responsibility pervades the company at all levels and in each department. You can find a lot of facts on our Web site. I don’t think you’ll find any other clothing company our size that comes close in its use of organic or recycled materials or in the percentage of products that can be returned to be made into new products. We’ve given 1% of sales to grassroots organization for 20 years. You certainly won’t find another warehouse the sizeof ours in Reno that sends less to the landfill. We’re proud of all that and much more, but would never argue that we’re an environmentally sustainable company. We aren’t. And there aren’t any yet. We might be a greener company if we put quality second.But we instruct our designers and production people to put quality first. What does that mean? A product has to be durable. And when it does come to the end of its useful life, its different components should wear out at the same time.Quality means that a product should do what we say it does: our shells are supposed to bead off water so moisture doesn’t penetrate. 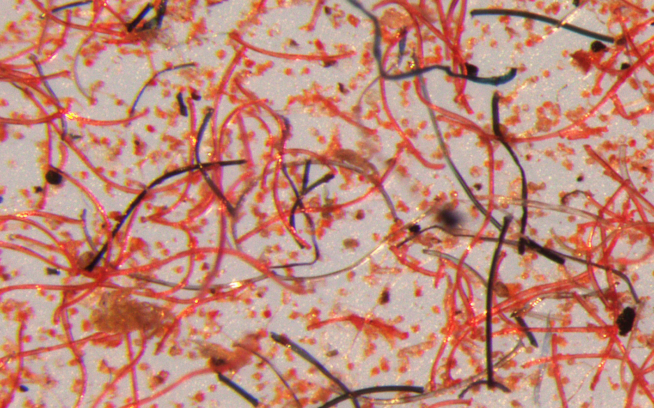 This, for the present, involves the use of a durable water repellent with PFOA, a chemical that persists in the environment – and that we’d love to get rid of when we find an alternative. How do we choose where we make our goods? The answer is pretty complex. Quality is our principle criterion for sourcing; cost becomes a subset. That is, given the choice between two factories that meet our required level of quality and specific performance characteristics we might opt for the one with the lower price – if we know we can trust the lower-cost source. This is true of all sourcing decisions from fiber choice to fabric construction to sewing. Reduced environmental harm is a strong second criterion. If we can reduce environmental harm without sacrificing quality we do so; where reduced harm will increase the price we make judgment calls; the environment often wins, even when we think a decision will cost us sales. 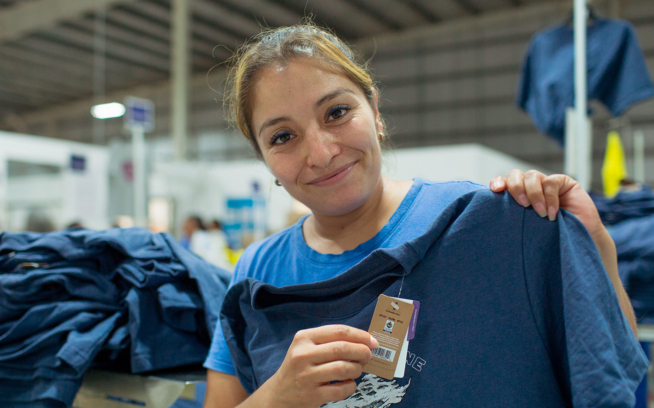 We’re committed to working in factories that treat well the workers who make Patagonia’s goods. This commitment, too, can sometimes raise the cost of our products made anywhere in Asia as well as the rest of the world. Some of the countries we work in, like China,have poor to mixed records for protecting both the environment and workers’rights. The U.S.’s record is better, but not as good – in some cases not nearly as good – as either the E.U.’s or Japan’s. We’ve made the choice not to disengage from countries on the basis of their policies. We believe in choosing factories wisely and in constructive engagement with others to lobby or work for change. Thanks much again for writing, for caring enough to write. We don’t expect to win you over but we wanted to clarify to you our principles as well as outline where our principles, applied in a world of market realities, influence our priorities. We hope that this is a useful glimpse for you into our company and that we earn your respect. We understand if due to your own priorities you vote elsewhere with your wallet. But we’ll miss your business and your loyalty.